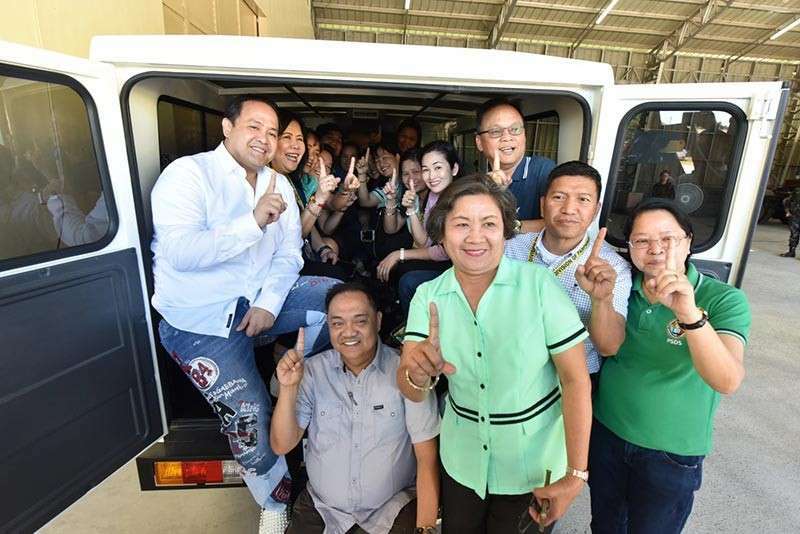 ACTING Governor Dennis “Delta” Pineda led the distribution of 16 Mitsubishi L300 service vehicles for the use of public school district supervisors (PSDS) in their official school monitoring and other activities. In his message, Pineda reminded the school supervisors to take good care of the vehicles as these are expected to augment the operations of the said public schools in their respective districts. He said the school vehicles should not be used for personal or family business and other activities of the supervisors, principals and teachers. He pointed out that the vehicles are mainly intended for the official school activities and events such as attending school trainings, seminars, executive meetings, conventions and other school events. “You can also use the school vehicles for emergency situations needing medical or hospital assistance and intervention,” Pineda told the supervisors. The acting governor also added that his office is open to everybody especially to teachers and students who are admitted in public and even in private hospitals accredited by the provincial government. “We have a lot of accredited private hospitals in each district,” he noted. Francis Maslog, officer-in-charge of the General Services Office, said the 16 vehicles are worth a total of P11.52 million, or P720,000 each. Maslog said the initial beneficiaries are Porac East District, Porac West District, Arayat East District, Arayat West District, Candaba East District, Candaba West District, Candaba North District, Mexico South District, San Luis District, Sta. Ana District, Sasmuan District, Sta. Rita District, Apalit District, Minalin District, San Simon District and Sto. Tomas District. Maslog added that more school vehicles are set for distribution upon the completion of requirements by the respective school district supervisors. Madilyn V. Ayson, PSDS of Candaba North District, said they will collect an initial P500 and a succeeding monthly contribution of P300 from each school’s local funds to pay for gasoline and maintenance expenses.